A small cosy crib. Yellow and bright. Blue bedding inside. A small toy kept neatly by the side. This sight greeted us at the very entrance. A small cosy crib where people could abandon their children to face the slings and arrows of outrageous fortune. It was neatly done up; and completely macabre. We were here to celebrate a colleague’s son’s first birthday. People who know me will be surprised since me and birthday parties (especially for kids) don’t really go together. In fact, I avoid them like the plague. But this party’s (if you can call it that) theme was a novel idea and I’d like to first take a moment out to shout out a sincere thanks to my colleague (who wishes to remain incognito) for this sterling message and for allowing me to tag along. Certainly inspired me, and that’s why my wife and I were there accompanying him for this . . . party (for lack of a better word). From what I understand, a 1st birthday bash is a pretty big thing in most households. There’s a party, relatives are called over and there’s a lot of food and events and whatnot. I’ve even known a few parents to go all-out and book a venue for this. Essentially, we’re saying that some kids (or rather; their parents) invite more people to their first birthday than I did to my wedding. Well, that’s besides the point. My colleague wished to do away with this senseless waste of money. His rationale was simple; there’s a lot of inequity going around without us throwing an extravagant bash for an act that was basically an annual recurrence. Do away with it. So he decided to spend an equivalent amount of money and time here at Vatsalya instead of amongst meaningless baubles and a vacant celebration that would teach nothing to the child or the parent. We entered to the chimes of some “aarti” and an idol of Ganesha right by the main gate. Atheist that I am, I hung back while everybody showed their respects and we moved up the stairs to the office with all the stuff that he’d bought for the children. My colleague started a conversation with the coordinator who was ensuring that a tally was kept of everything that was being handed over. A systematic receipt was given to us detailing all items. Once this was done, we took a short tour. It was perhaps the single-most shocking experience of my life to this point. We went upstairs to the second storey where the kids stayed. This was segregated by age group. We had a room where a few toddlers were sprawled about, another room right beside that for kids a little younger, and a third for kids who were “differently abled”. The aya there told us the difference and mentioned that these kids are born with a “minor defect” which is why parents abandon them. Their adoption rates are low too since nobody wants a “defective child”. These were the words she used. As if they came off an assembly line. She did this with a wry smile. And with a lump in my throat I moved away. So did Sylvia. We were dumbstruck. Well, the nightmare was just beginning. We went one storey further up and were greeted by a crib with a life-support system hung by its side and a really tiny baby sleeping away to kingdom come. I didn’t dare enquire what had happened but the aya pressed on regardless. This baby was abandoned at the Vatsalya doorsteps in the first week of her life. She had a congenital heart defect and things were grim. I couldn’t imagine a scenario where someone would do that. But from what I gathered, it was quite common. I’d had enough. The lump in my throat was joined by a knot in my stomach and I moved away. My wife was close to tears. She’s a sensitive soul and this was not what we’d expected. Nor had we been prepared for this. My colleague had done this before and all he could offer was a sympathetic nod and an assent for our request to go back down. Inequity . . . that’s what it all boils down to. On one hand we have children so privileged that they get driven to school in chauffeur-driven cars and a bevy of household help for every whim and fancy. On the other hand we have children who are abandoned as soon as they come into existence. They have no clue who their progenitor is and they have no support system to face the travails of existence with. 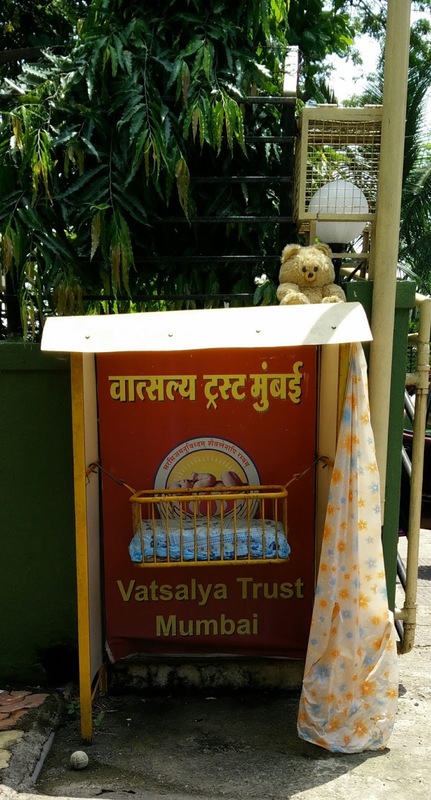 Let’s take for example a small initiative started by Vatsalya - “Infant Financial Adoption Scheme”. 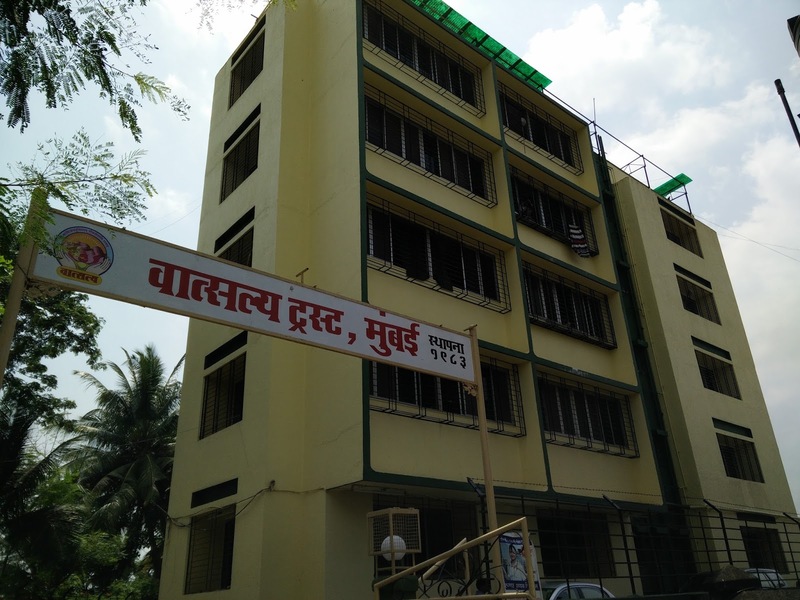 People donate INR 4000.00 to Vatsalya under this scheme. This amount is used for furnishing the expense of milk provided to one infant for the duration of one year. Let’s look at this amount from two perspectives. In our daily lives, we don’t think twice about spending this amount, though we don’t realise it. Let’s take the classic example of a movie and a dinner date with one’s partner. Just a normal dinner date with the wife. Something we do at-least once a month. A dinner date that costs almost the same amount of money that would provide nourishment to a child for an entire year. Let’s take another example. 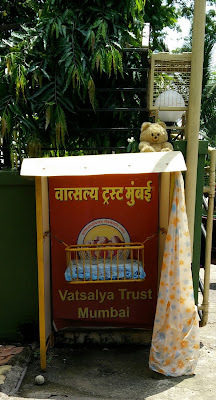 Vatsalya also has a scheme to sponsor the financial education of one child for one year. People donate INR 4500.00. and this takes care of the basic education fees and critical essentials for one girl child. Let’s compare that with a short weekend trip that we take at-least once a quarter. Whether it be Lonavala or Igatpuri or any other weekend destination around Mumbai; 9000 bucks about covers the trip for two people. That would sponsor two children’s education expenses for a year. One weekend we spend amongst the mountains in a leisurely resort would provide education for a year to two children. I let that calculation sink in when I did it first. I do both these things without thinking. Movie-dates, weekend-excursions, drives, the works. I do it without a second thought. And therein lies the rub of the problem. It was a day that was spent in a haze. After we came downstairs and after we had a chat with the coordinator; I don’t remember too much till we got home. It was all kind of a daze. Thoughts tumbling on top of other thoughts. Call it a healthy dose of reality, or a slap in the face for us as a society; but there’s definitely something wrong about our modus operandi as a society. We create circumstances where parents have to abandon their child and we also create circumstances where we hinder their adoption and subsequent assimilation back into society. We force them into destitution and we keep them there. We give them life and we callously take it away. We don’t know how to solve this problem immediately. But we can definitely support and appreciate the efforts that people like my incognito colleague and the Vatsalya team put in to ease this inequity in some small way.